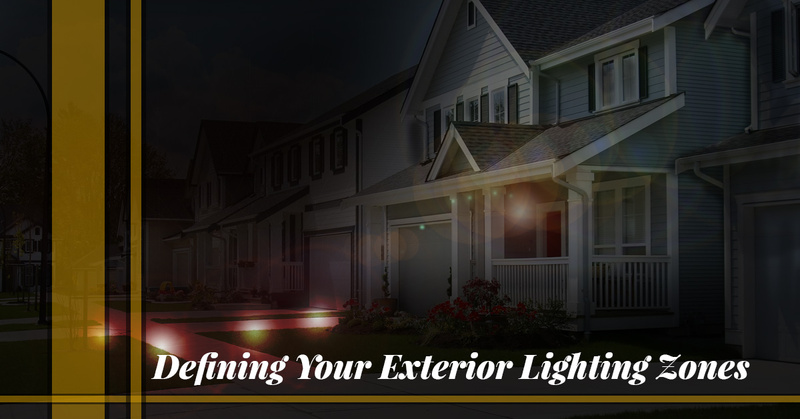 When it comes to outdoor lighting, you may think that its main purpose is to illuminate the exterior of your home and make it safe and easy for people to approach your property. While that is an important function of your outside lights, you don’t have to limit your lighting to simple functionality. You do want people to be able to see your home from the street and to be able to walk safely up your steps, but you can take things a bit further by defining different zones around your house. At Passion Lighting in Grapevine, we have a fantastic selection of exterior and landscape lighting that can transform your property into a beautiful, appealing sight. If your home has a long driveway, it’s important to define this zone by placing lights along the perimeter. Lantern lights on posts can be a great way to welcome guests as they drive up to the house, and you can set your outdoor ambiance and theme with the appropriate style of lights. 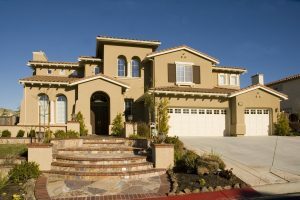 If the driveway ends at the garage, make sure there are wall lights or overhead lights that define the outline of the garage so you or your guests know where to park. If you’re having a party and guests need to park on the street or at the end of the drive, the lights will help them see as they walk up to the front door. While the main function of your sidewalk and steps is to provide people a safe path to your front door, that doesn’t mean they should be skipped over when it comes to outdoor ambient lighting. Your sidewalk may curve as it approaches your house, and if you have landscaping on either side of it, take the time to think about the pathway and other ground-level fixtures you can add. Stair lights help people see the rise and tread of each step, but they can also illuminate the design and texture of your outdoor stairway. You can place the lights in the middle of each step’s riser, or if you have a retaining wall on either side, consider placing lights in the wall as way to accentuate the line where the stairs intersect with the wall. You may not have a wall next to your front steps, but there may be a retaining wall in another area of your landscaping. Whether it’s in the front or the back of the house, a low wall can be a great architectural feature for your property. Down lighting installed underneath the overhang created by the top of the wall can help people see the texture in the stone, and when you have people over, a low wall can be a great place to sit and chat. The proper lighting will also create depth and help people gauge distances as they approach the wall. If you have several levels of landscaping leading up to your home from a pool or patio area, it’s important to choose lighting options for each section. If you’re looking for new outdoor lighting options, come to Passion today!